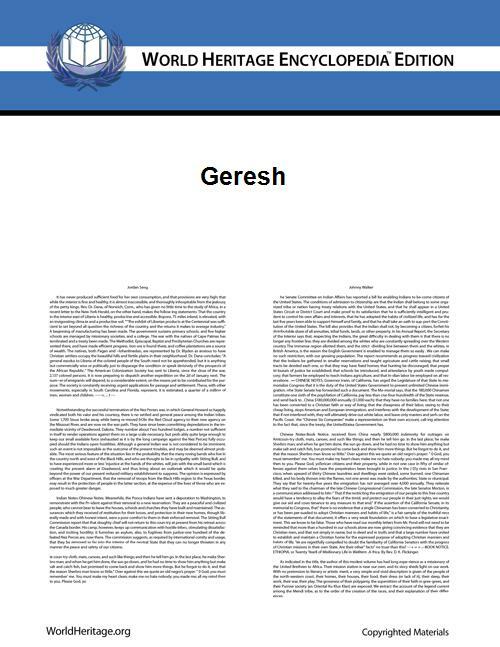 Geresh (׳ in Hebrew: גֶּרֶשׁ‎ or גֵּרֶשׁ‎ , or medieval ) is a sign in Hebrew writing. It has two meanings. or to denote a Hebrew numeral. There are six additional letters in the Arabic alphabet. They are Ṯāʾ, Ḫāʾ, Ḏāl, Ḍād, Ẓāʾ, and Ġayn. Also, some letters have different sounds in Arabic phonology and modern Hebrew phonology, such as Ǧīm. Since most keyboards do not have a Geresh key, often an apostrophe ( ', Unicode U+0027) is used to denote a Geresh. ^ Transliteration Rules issued by the Academy of the Hebrew Language state that both [v] and [w] be indistinguishably represented in Hebrew using the letter Vav. Sometimes the Vav is indeed doubled, however not to denote [w] as opposed to [v] but rather, when spelling without niqqud, to denote the phoneme /v/ at a non-initial and non-final position in the word, whereas a single Vav at a non-initial and non-final position in the word in spelling without niqqud denotes one of the phonemes /u/ or /o/. To pronounce foreign words and loanwords containing the sound [w], Hebrew readers must therefore rely on former knowledge and context, see also pronunciation of Hebrew Vav. ^ Hebrew Punctuation "(Academy of the Hebrew Language)".